This is not what you want to hear from a guy standing on your roof in February. "It's pretty bad. 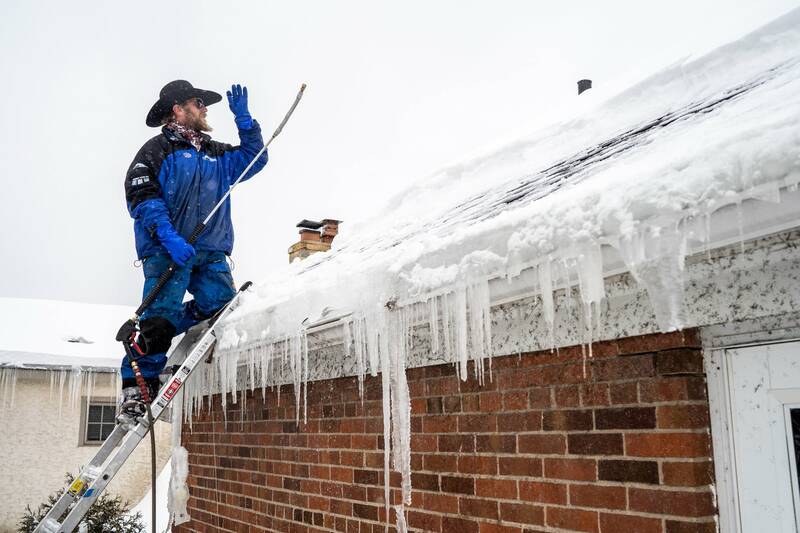 There's ice on everything," said Jake Weber as he stood atop a house Tuesday in St. Paul. "It's as bad as anything I've ever seen." Weber isn't one for exaggeration. He doesn't have time. 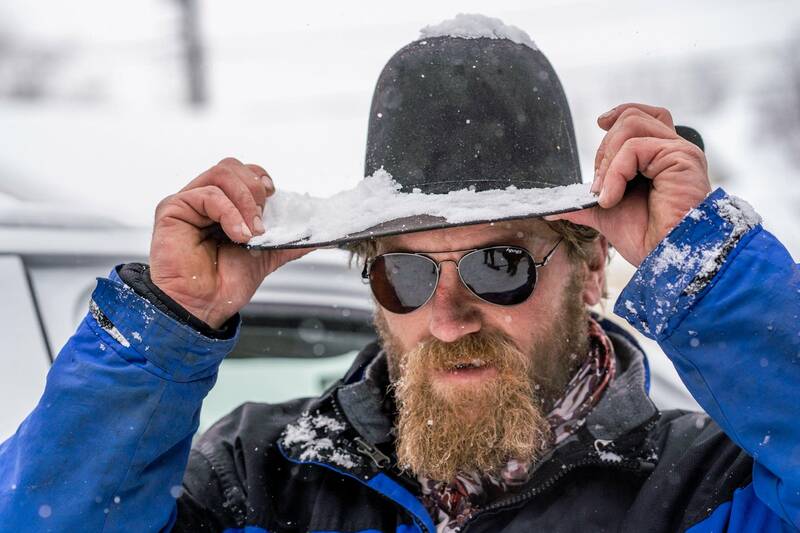 He works for a company called the Ice Dam Guys, and he and his colleagues are insanely busy fighting that well-known scourge of Midwestern winters: the roof ice dam. Contractors say they've been overwhelmed with calls and working round-the-clock in the last 48 hours, given the heavy snow and icy weather the past week. 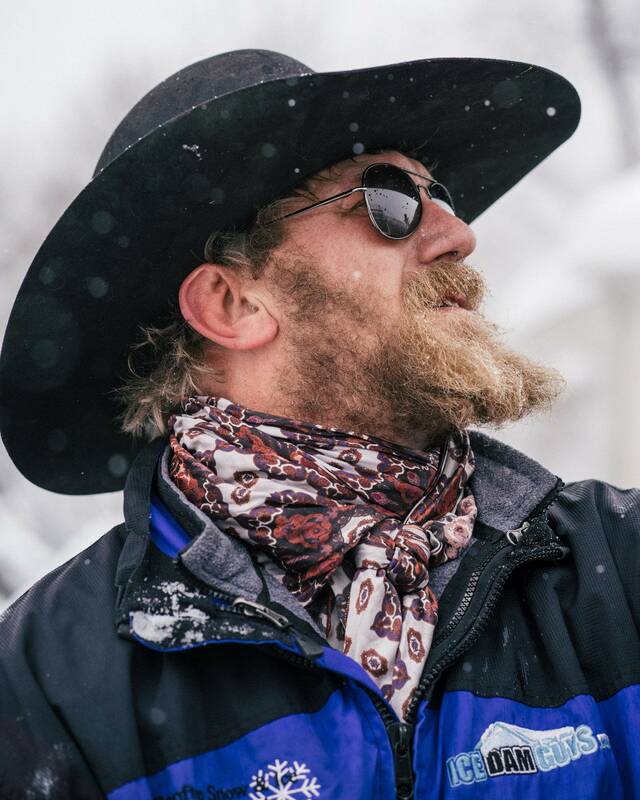 That's made Weber — who can aptly be described as an "ice cowboy" replete with hat — a wanted man, although most homeowners do not want to hear his message from the roof. Superlatives are hard to measure when it comes to the winter phenomenon that plagues the shingled roof in Minnesota. By design, it sheds water down to the ground. 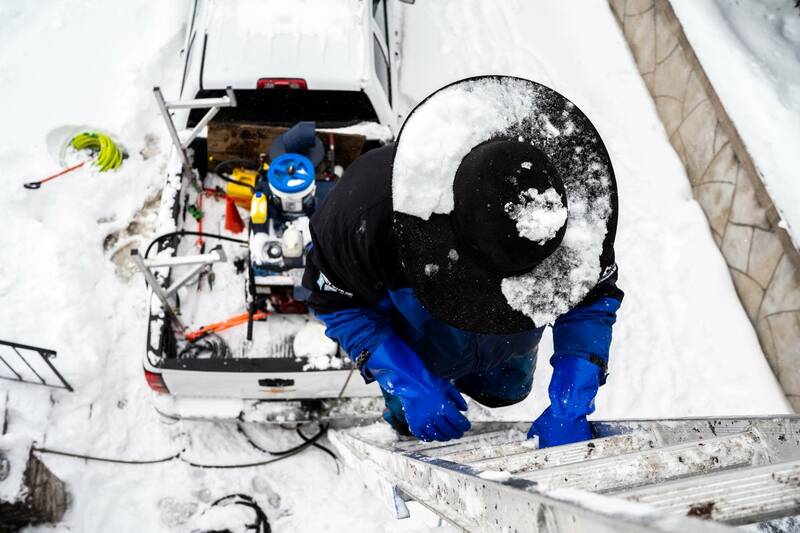 That is until heavy snow and cold temperatures combine — and the outer edge of a roof is much colder than the slope above it. Water collects above the frozen edge — which becomes an ice dam — and the moisture seeps back up under the shingles and down into homes. 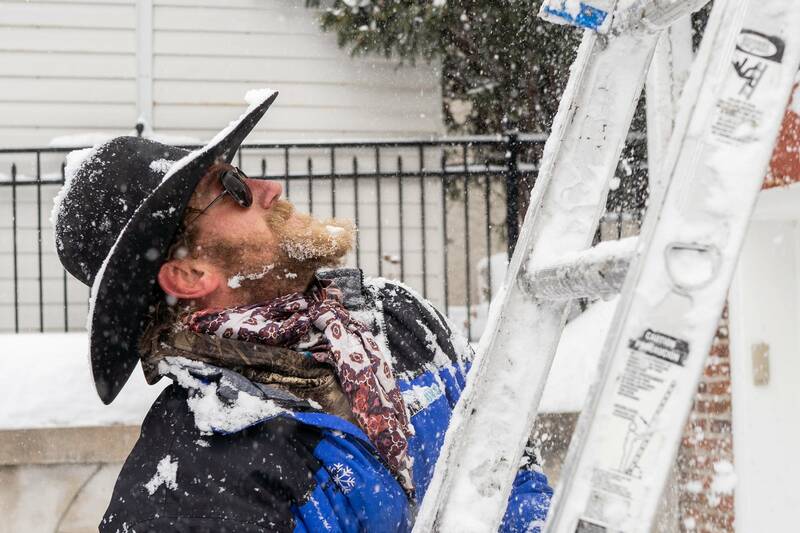 The signs are hard to ignore: the icicles hanging from gutters or drip edges, piles of snow sitting on a home's shingles. "The last week started out pretty slow but steady," said Ice Dam Guys owner Joe Palumbo of Forest Lake. "Probably two days ago — [we had] hundreds of calls a day." The polar vortex hasn't helped. Palumbo said it exacerbates the difference between temperatures in a home's interior and the roof above it. "Furnaces are working harder. 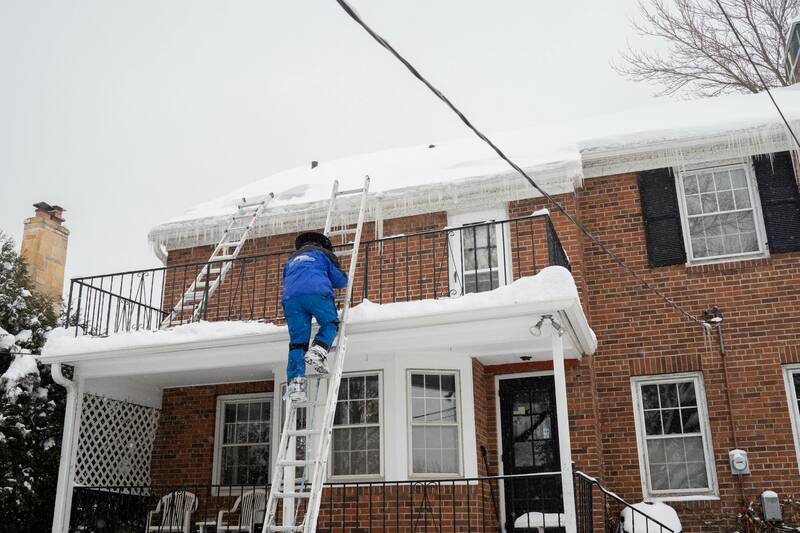 They're pumping that heat into the house, which any bypasses, air leaks into the attic, weak insulation, lack of ventilation, it's heating up that attic space, which warms the roof deck from the underside," said Palumbo. Once you've got ice dams, you've got two options: Wait it out and fix the water damage later, or call someone like Palumbo and hope to get on his schedule. Prices fluctuate widely depending on the size of your roof, how high it is and how much ice is on it. 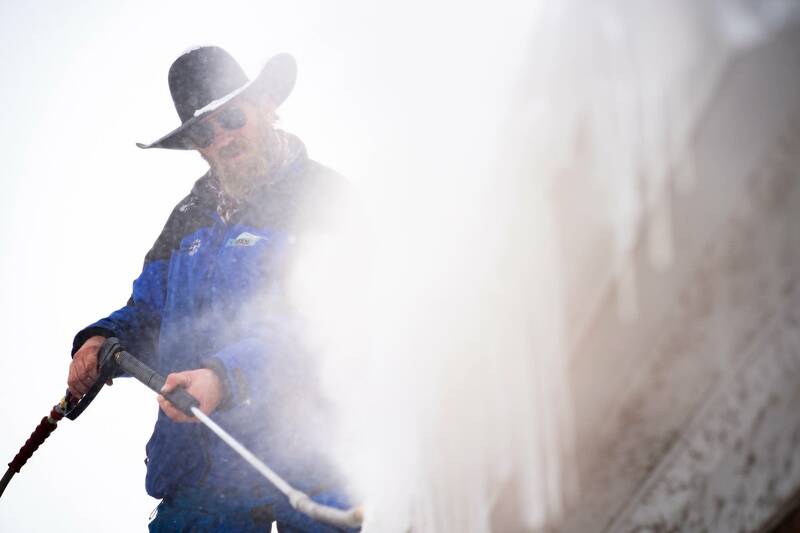 It takes a minimum of two hours to clean off a home's roof. Prices range from several hundred to several thousand dollars. Nylon stockings filled with snowmelt, salt pucks and other home remedies don't really work. The best option is prevention, Palumbo said. 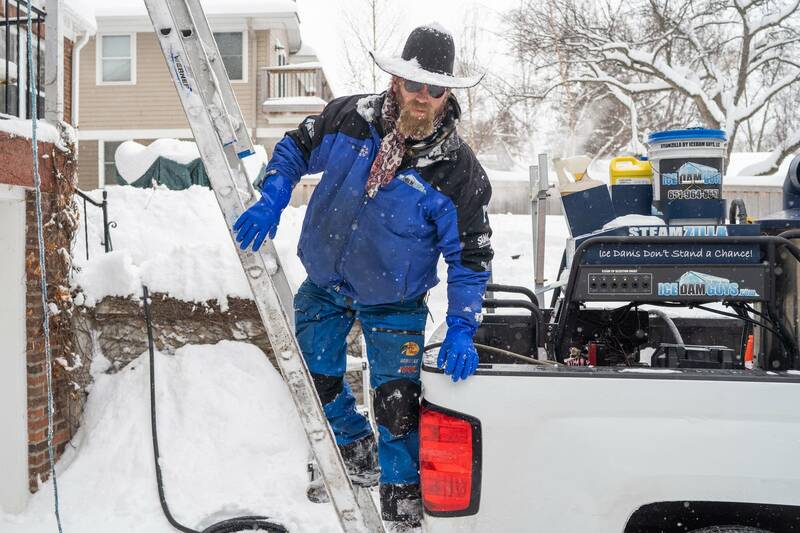 "Stand on the ground safely and rake as much snow as you can off of your roof." And hope that winter's end isn't far away.